Documentary filmmakers are a unique breed–I’ll admit it. Often we aren’t quite the same as other filmmakers since our interests lie in translating reality to film and telling true stories. That sentimentality means we aren’t interested in the kind of gifts fiction filmmakers and screenwriters might enjoy. There is some overlap, but gifts for documentary filmmakers can be even more meaningful when you really customize them or the profession. So if you’re searching for the perfect gift for the documentary filmmaker in your life, this list will give you some great ideas. These presents are perfect for birthdays, Christmas, anniversaries, and any other gift-giving occasion. 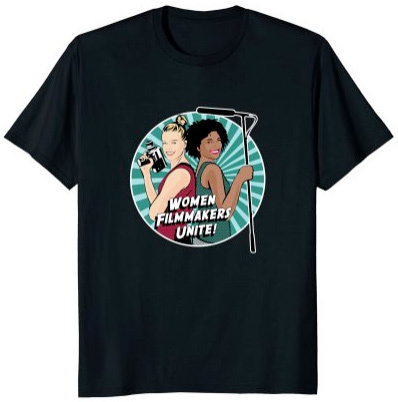 If you’re shopping for a documentary filmmaker or film student who happens to be a woman, this Women Filmmakers Unite T-Shirt makes a great gift. With a bold and colorful illustration of a female director and a woman sound engineer, this tee is great to wear on set or just hanging out. 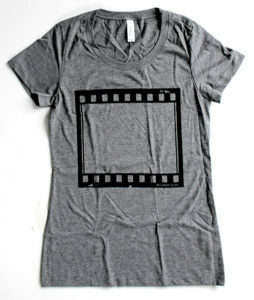 If you’re looking for a shirt that’s a little more understated, check out The Future of Film is Female T-shirt. Documentary filmmakers often times spend long hours “on location” and depending on where they are they might be far away from power outlets. As documentary producers spend a lot of time on their phones while they’re on the job, a portable battery pack for recharging cell phones can be a very thoughtful gift. This cell phone charger can give juice to two phones at once and recharge them multiple times (to say nothing of working with both iPhones and also Android phones with built-in flip-out-cables). It will also recharge iPads and other types of USB powered devices (in addition to the dual built-in flip-out cables, it also has a simple USB port that you can plug anything into). It even has a built-in mini-flashlight. This is an amazing, unique gift any documentary filmmaker will appreciate. PixelThis is an Etsy creator who makes clocks from recycled objects. This clock is made from an old 16MM movie reel that’s outfitted with a clock at its center. Perfect for home or film studio, this is a creative and unexpected gift any filmmaker or lover would enjoy. 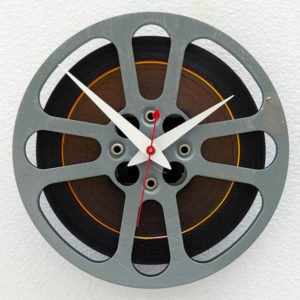 If this style doesn’t suit you, they have a variety of film reel clocks available. This is by no means an instructional guide about making documentaries but is instead a compilation of interview transcripts with master-documentarian Errol Morris. If you’re looking for a gift for a documentary filmmaker and they’re a fan of Errol Morris’ work like Fast, Cheap and Out of Control or The Thin Blue Line or Tabloid (or any of a dozen other great films), this might be a great gift. At times sardonic and always witty, Morris–himself a master interviewer–reveals some of his secrets, like trying to pay as little attention as possible when he’s interviewing someone. Here’s another great t-shirt for documentary filmmakers and documentary film fans. Although the pool of people who make documentaries is probably smaller than the pool of fictional filmmakers, we’re small and mighty! Documentary filmmakers need to support each other and form a community of their own. 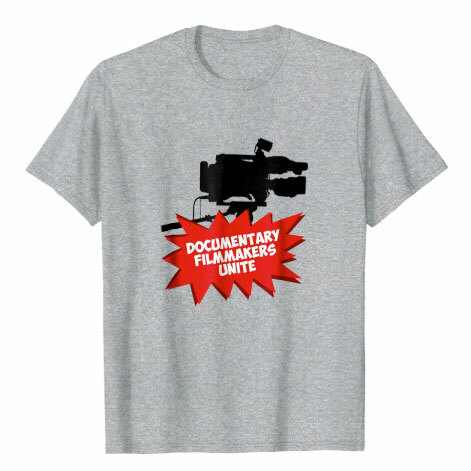 Embrace this message with this “documentary filmmakers unite” shirt. This film shirt comes in men’s and women’s sizes in gray, light blue, olive green, and dark gray. See also our article with a list of other shirts for documentary filmmakers. This is a nice gift for a documentary filmmaker’s home or office. Catkuma Patent Press specializes in making beautiful art prints out of designs from patents. 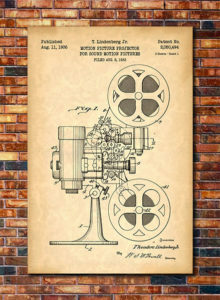 This print features the Motion Picture Projector patent from 1936. It has a nice industrial vintage look that goes well with many decor options. It’s also a nice way to mix up wall art that can trend towards documentary movie posters. Comes in 11 different poster sizes in a variety of different print styles and colors, printed on heavyweight matte paper that’s perfect for framing. Action cameras are a lot of fun and whether the filmmaker you’re choosing this for will use it professionally as part of their filmmaking process or if they’re just going to take it on vacations, a GoPro can be a great gift for documentarians. 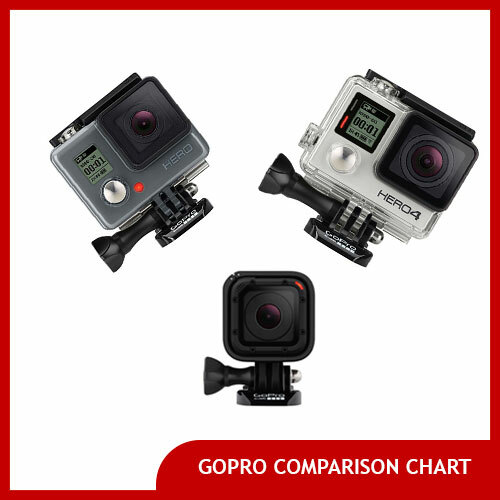 Although there are a whole series of different types of GoPro cameras, this model with a color LCD screen is the best choice for most people. It records brilliant 1080p color video with sound and can also do time-lapse modes as well as fun fish-eye super wide effects. 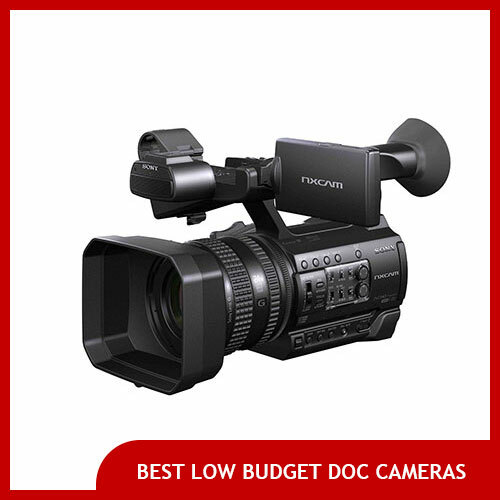 Plus, depending on what the next project of the documentary filmmaker is that you’re giving it to, you might just be equipping them with a camera they’re going to use professionally! We’d say that’s pretty neat. GoPro not in the budget? Check out these cheap action cameras and affordable alternatives to GoPros. Film school is expensive and even if your filmmaker has been to it, there’s still more to learn. And how often do you get to learn from one of the greats? 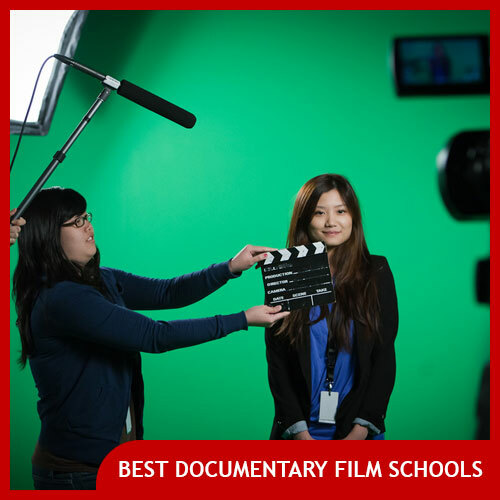 Masterclass makes it easy to learn filmmaking from a variety of the best professionals. 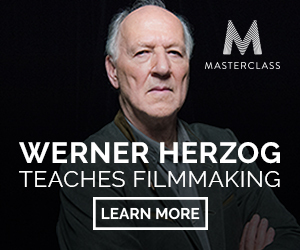 Their Masterclass with Werner Herzog is a fantastic gift for documentary filmmakers. He’s well known for his documentary films like Grizzly Man and Cave of Forgotten Dreams he has decades of experience to impart to documentary filmmakers. His class covers general film topics like teaching yourself storytelling, financing films, finding locations, and editing. He also has four lessons specifically about documentary filmmaking. In addition, you get access to an a online class where you can have discussion with other students and upload your videos for feedback. Some students will get feedback from Werner himself. 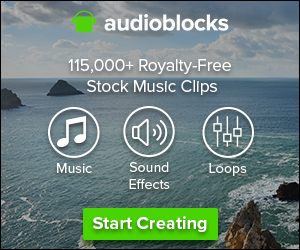 This is a great gift for any documentary filmmaker who is early in their career. For established documentary filmmakers a membership to the IDA (International Documentary Association) can be a thoughtful gift. 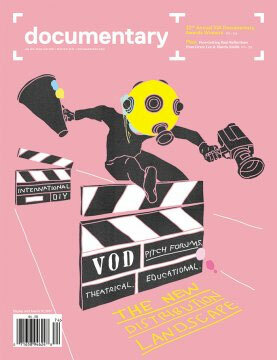 Most documentarians are not members of this group but they publish a quarterly magazine and also have an online master-filmmaker seminar series for members only. As part of an IDA membership, they also offer some other special filmmaker-centric perks. Memberships start at $55. 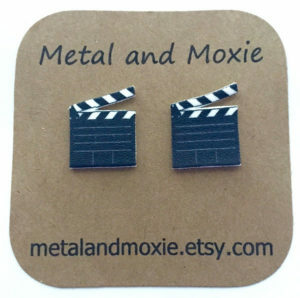 The clapperboard is an iconic symbol of filmmaking, and now it’s available as a pair of earrings. Handmade by Metal and Moxie, these movie clapperboards are made from sturdy plastic with titanium posts and stainless steel butterfly nut backs. These are fun earrings perfect for wearing during a long day of shooting or while they’re editing their next documentary film. Everybody likes funny documentary films and depending on the documentary filmmaker you’re shopping for, a funny documentary might be a great option as a gift. For instance, a classic DVD like the “American Movie” documentary which spotlights the misadventures of a hapless filmmaker as he tries to complete a film would be a welcome gift in many documentary filmmaker households. Check out our list of the funniest documentaries. This is a nice, subtle gift for any filmmaker. This t-shirt features a printed of a frame from a 33MM film negative. It’s got a cool vintage feel to it and the simple style is fantastic for any fashion sense. There shirts are made to order, so you can select dark or light gray. Available in women’s size (picture) or mens/unisex. This gift is perfect for documentary filmmakers and camera shooters. 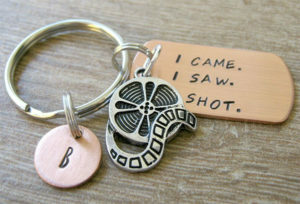 The keychain comes with a film reel charm and a copper dog tag that is hand stamped to say “I came. I saw. I shot.” They also provide the option to add an initial charm to personalize the keychain. This is a thoughtful gift that’s perfect for carrying keys or attaching to a gear bag. Here’s a cute gift idea for filmmakers and photographers: it’s a travel mug that looks like a lens. It’s insulated to keep hot liquids warm and cold liquids cool no matter the weather. This mug is also comfortable to grip even with very hot liquids inside, plus it has a screw off lid. This particular model is not dishwasher safe but if that’s important you may find other models of the same product that are (see the related products to pick one out). If you want to give your favorite documentary filmmaker a way to enjoy hot beverages at home, this mug is a great gift idea. 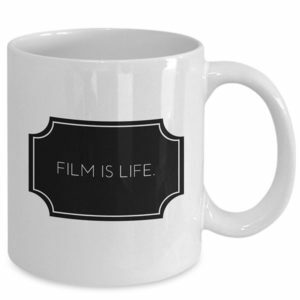 It features an old-fashioned movie ticket with the words “Film is Life.” Make this an unforgettable gift by including some of their favorite coffee, tea, or hot chocolate with the mug. This 11 oz. mug is dishwasher and microwave safe.